Marriage has been around a long time. If you look hard and long enough you can even find ADVICE from back then!! 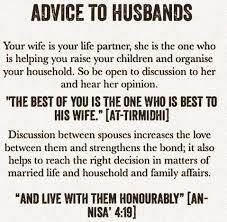 Funny advice about behaving and being a good wife. Ha. It’s funny to read. I am also sure many of you will read this advice and get mad. But I’m going to ask you not to get mad. It’s what it was…it’s has little and nothing to do with you right now. So have a laugh, let it go, or use it to change something in your life. No hate mail. No judging. Meaning do be judging me for posting it. I only do so to bring you information. That’s it. My feelings on the below are pure amusement! 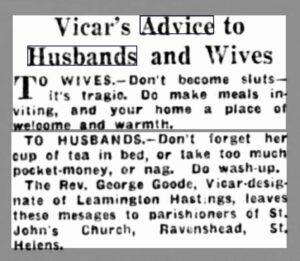 I think they are odd, funny and a bit of history of our past as married women.